Folker Franz is Head of Government Relations EU at ABB, a Swiss-Swedish multinational. 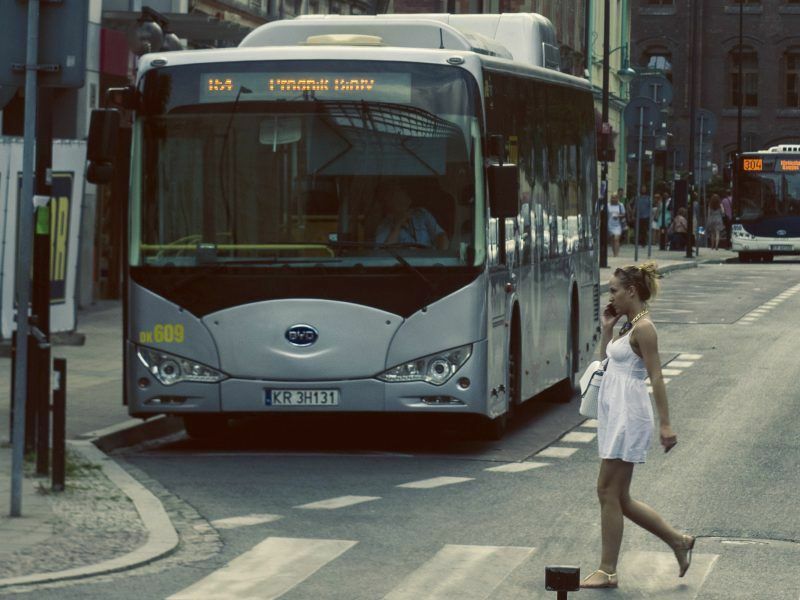 He wrote this op-ed on behalf of the Platform for Electromobility, a network which brings together NGOs, industry associations, local and regional authorities, manufacturers of electric buses, cars, lorries, ships and charging infrastructure providers. In October 2018, Environment and Transport ministers signed the “Graz declaration” on clean transport, marking “the beginning of a new era” in which all parties would “work towards a green deal for a new mobility in Europe”. But are they dragging their feet on one of the most important EU dossiers to boost clean mobility in European cities? The window of opportunity for getting a deal on the Clean Vehicles Directive (CVD) is closing while the need for such a deal has never been so high: air pollution is responsible for 400,000 premature deaths every year, and greenhouse gas emissions in the transport sector are still on the rise. The future of the European e-mobility industry is at stake. Postponing the transition to electric vehicles would only help international competitors become more dominant. 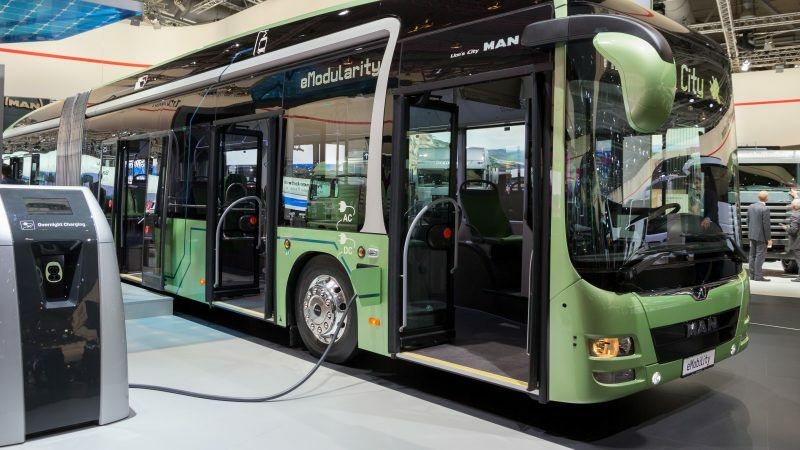 For example, while patting ourselves on the back for having roughly 1,600 e-buses on the road in Europe today, the Chinese city of Shenzhen completely electrified its fleet of 16,000 buses in 2018. Overall, China operates close to 400,000 electric buses, and exports them across many markets. The renewal of public fleets brings huge numbers of new vehicles onto European streets each year – from buses to maintenance vehicles, from social services transport to office car pools. Currently, the large majority of these new vehicles are petrol or diesel driven – vehicles that will remain on our roads for the next 5-10 years, contributing further to CO2 emissions, air and noise pollution. The Platform for Electro-mobility – a network of NGOs, European industry associations, local and regional authorities, manufacturers of electric buses, cars, lorries, ships and charging infrastructure providers – believes the time to act is now. In light of the recent 1.5° report of the UNFCC and Commissioner Cañete’s call to make the EU climate neutral by 2050, business-as-usual is not an option anymore. For city-dwellers to breathe cleaner air and the European industry to remain competitive, a clear strategy is needed. France and Poland have already adopted binding decarbonisation targets for their public fleets of vehicles, capital cities such as Madrid, London or Brussels have set up low-emission zones, Deutsche Post has deployed the largest fleet of electric vehicles in Germany, Copenhagen will only procure electric buses starting from this year, among many other initiatives. But to create scale in Europe, a constellation of disconnected initiatives is not enough to drive the needed change and action must be taken at a European level. This is the purpose of the Clean Vehicles Directive. It would mandate public authorities to procure a minimum share of clean and zero-emissions vehicles by 2025 and by 2030. The pace of change and the targets would be linked to national GDP. Since they would apply at Member State level, these targets could be fine-tuned by national policy-makers to accommodate local needs and specificities. The effect of these measures would be a game-changer for buses: 75% of new bus registrations stem from public bodies. Targets would give manufacturers the confidence to ramp up production, therefore decreasing upfront purchase costs. Based on our recent analysis, the European industry is certainly ready to deliver. The latest Council text of 17 December illustrates that the proposals of the Commission and the Parliament are closely aligned and provide a solid basis for rapidly reaching a deal between member states. An agreement exists to keep the technology-based definition of clean vehicles, and to set an additional “sub-target” for zero-emission vehicles. In light of these converging views, the Clean Vehicles Directive is well in reach for policy-makers before the end of this political cycle. It would be an important sign that the Graz declaration is more than a piece of paper. It is now up to the Romanian presidency and the Council to deliver on these expectations. I could not agree more with the points made in this article. This is an excellent place to start on the road to various transport targets by 2030. In many ways, it could be useful to ensure these targets also align with regional zones who have zero-pollution policies soon entering into force within their respective areas. In this way – and I think Transport&Environment might agree – the continued expansion of biofuels is not going to be an effective method of reaching these targets. China has very large resource reserves which are required in the construction of batteries. Without these reserves we are not guaranteed low prices for batteries; going forward. 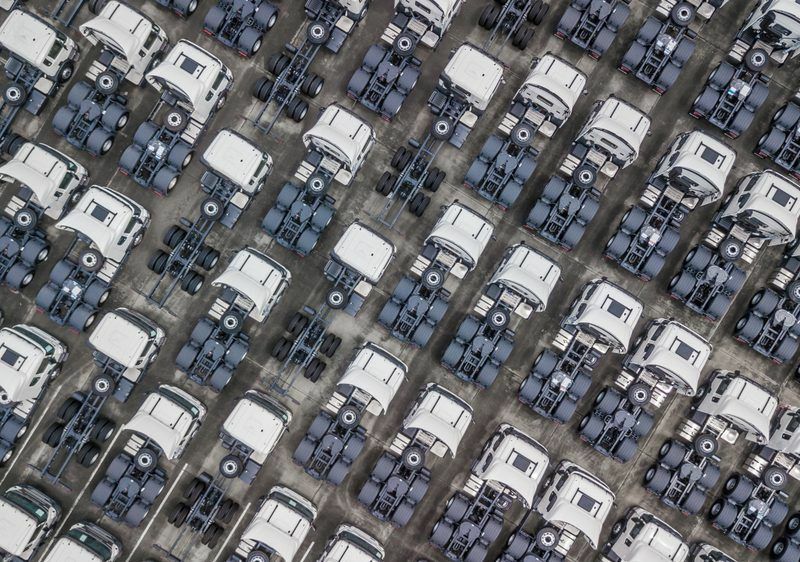 Both Hyundai and fuel cell manufacturers in Guangdong, China have mentioned that fuel cells are likely to become cheaper to produce at volume (the explicit figure mentioned is 100,000 vehicles per year). This is essentially due to the smaller size of the fuel cell stack, although resource constraints could also play into this. Both Hyundai & Toyota are firmly backing fuel cells; long term, with China investing $12.4 bn last year, and Hyundai making an announcement last month that it would increase production of fuel cell cars to 700,000 over the next decade, with $7 bn funding in place. The only other option for road transport is electrification via caternary wire. I don’t think it takes a committee to understand that this has very limited practical ability to decarbonise transport to the level required. It is also very unsightly. The idea of converging policies within Europe allows us to focus on practical solutions that help MS’s collectively. And also, by putting in place infrastructure that could help other sectors (eg passenger transport, or HGVs), regional spending for less polluting & import-dependent public transport can help with broader goals – again rather than a piecemeal approach. Essentially, any spending in one area is going to bring costs down across other areas. For example, in some ways the cost reductions possible for upgrading electrical infrastructure have already been achieved (fitting numerous 11kW charge points for on-street charging will require various upgrades, including substations etc according to Volker Blandow; who is the head of e-Mobility at TÜV SÜD; and these are likely to cost more as the percentage of charge points increases); whereas by spending on hydrogen a local council is also investing in renewable energy; it is reducing ff imports, it is reducing transmission costs for electricity, and it is investing in the local economy as transport refueling for larger vehicles becomes more and more important (such as for trucks). There are lots of recent articles on these issues, as well as an excellent 80-page report authored by Yvonne Ruf of Roland Berger – this is vital reading for those involved with urban mobility with regards to zero-carbon options; specifically hydrogen & fuel cells. *Just to clarify the point made by the Hyundai e-mobility chief, as well as the Guangdong fuel cell association (various different companies): both have stated that the cost of producing a fuel cell vehicle is likely to be lower than battery-electric at 100,000 vehicles – with a 30% reduction quoted in China and “the same as conventional vehicles” quoted by Hyundai. So this is essentially guaranteed within a decade, as the production volumes quoted for each exceed 100,000 vehicles. This is also not including Japan. There are no resource constraints when manufacturing fuel cells, and stack-assemblies are, in effect, simpler than combustion engines. And the cost of upgrading electricity networks for vast numbers of battery charge points is likely to be large. It almost can’t be stated enough that although the task is complex, linking excess electricity production to on-site electrolysis for buses, cars, and trucks (where batteries have issues with limited range and long refueling times) is the ideal way to balance intermittent renewables (demand response), thus allowing a larger percentage of renewables on the grid. Curtailed electricity is very low cost, and would require expensive grid upgrades to utilise without electrolysis. So just to explain; hydrogen is not simple to implement but it is the best option for a renewables-focused electricity grid, long range transport, and then industry (such as steel – which makes up about 50% of the life-time emissions of a car) and dispatchable power over time. There is no other means of electricity storage, and in most cases further electricity grid expansion or upgrades are going to cost the same if not more. ‘A TURNiNG POINT FOR HYDROGEN? and their opportunity charged counterparts have crept into production. capacity and the ground space required for effective overnight charging, the range and limited battery requirement of hydrogen fuel-cells is music to its ears. ‘Consider alone how many operators have either sold their early hybrids or had them converted to straight diesels and it becomes apparent that the cost of mid-life battery replacement is daunting, possibly prohibitive, when operators size up their options for capital investment. ‘With two waves of Europe-wide JIVE funding promising to have that effect – so that those buses and others that follow them no longer to come with a price tag that suggests the customer might be paying for a small power station – the day of the hydrogen bus has begun looking attainable.